← Happy Holidays from your friends at DART! Editor’s note: This story appears in the November 2015 issue of Inmotion. The December 2010 arrival of the Green Line began a renaissance in downtown Carrollton. In the past five years, the city and private investors have injected more than $30 million into the area. 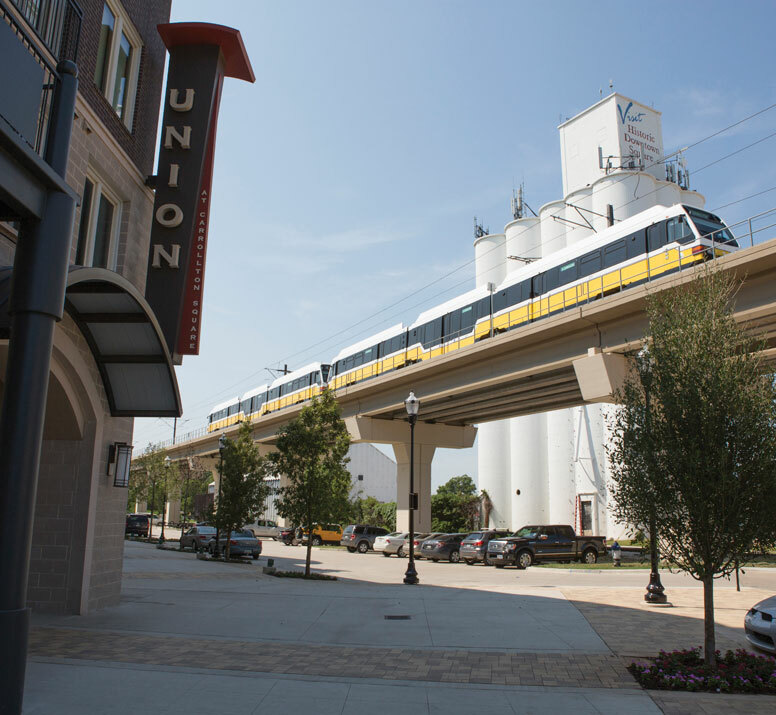 “Having downtown connected to DART’s extensive light rail network is a great benefit for businesses and residents alike,” Mayor Matthew Marchant said. In 2012, the city’s first public-private partnership – Union at Carrollton Square – opened. The mixed-used development features 179 apartments and the Twisted Root Burger Co. The square now attracts residents and visitors alike to crowd-drawing events like the annual Festival at the Switchyard, and the city continues to make enhancements. This spring, public parking was relocated to create a more aesthetically pleasing environment, including a lush lawn. Downtown growth also is attracting the attention of businesses like the popular Cane Rosso, which opened a branch of the Neapolitan-style pizza chain in the fall. Deep Ellum’s popular Monkey King Noodle Co. also plans an expansion to Downtown Carrollton with an opening slated for June 2016.